Da Capo Lifelong Books, 9780738216799, 256pp. Long regarded as the missing link in the plant-based world, vegan cheese has come home to Main Street! 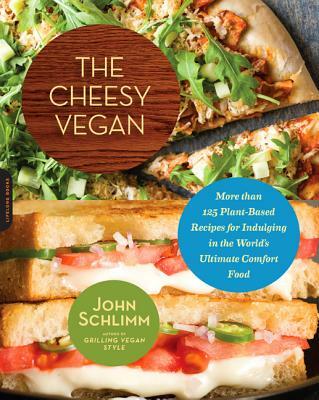 With more than 125 recipes for every cheesy craving, John Schlimm has you covered from breakfast to lunch to a hearty dinner with family and friends. From easy recipes for everyday cheeses (including Cheddar, Swiss, mozzarella) to ultimate comfort food like Mac 'n' Cheese, Cafe Broccoli & Parmesan Quiche, Triple Your Pleasure Fondue, and the Cheesecake Extravaganza, you can include in all your cheesy favorites ... with none of the dairy. The Seven Stars Cookbook, Tipsy Vegan, and Grilling Vegan Style, among other titles. He holds a Master's degree from Harvard University, and travels the country speaking about cooking, entertaining, and public relations. He lives in Pennsylvania.